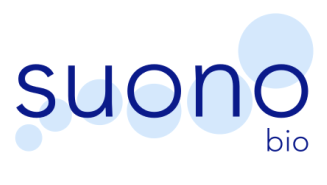 Suono Bio is a preclinical-stage company specializing in the ultra-rapid delivery of novel therapeutics to the gastrointestinal (GI) tract. The company was co-founded by Professor Robert Langer (MIT), Dr. Giovanni Traverso (Harvard Medical School), Amy Schulman (Polaris Partners), and Carl Schoellhammer and is based out of MIT’s The Engine. The company’s platform delivery technology enables the localized administration of therapeutics, including biologics and nucleic acids, in a formulation-independent manner. The technology has been published in Science Translational Medicine and Gastroenterology and has won national awards including the Lemelson-MIT National Inventors Prize and the National Collegiate Inventors Competition. The company was also awarded a Golden Ticket to LabCentral (Cambridge, MA) from Bristol-Myers Squibb. The company is backed by venture funding from the LS Polaris Innovation Fund and MIT’s The Engine. We currently seek a highly motivated, driven, and collaborative Associate Scientist with experience in molecular and cellular biology and animal models to contribute to the company’s R&D program. The chosen candidate must possess an outstanding track record that demonstrates a proven ability to drive research progress, including the ability to independently design, implement, and troubleshoot experiments and effectively present results and research plans.